Solar, wind and even nuclear power plants are doing it. There’s a growing international trend in energy production: make it float. Perhaps the most novel project type is the floating nuclear power plant. China General Nuclear (CGN), China’s largest nuclear operator, announced earlier this month that it expects to start operating a small modular offshore reactor by 2020. Construction of the ACPR50S demonstration project is expected to begin next year, having recently been approved by China's National Development and Reform Commission as part of the country’s 13th Five-Year Plan. China plans to build 300 gigawatts of nuclear capacity over the next 10 to 20 years, with seven nuclear reactors coming on-line each year through 2030. There are several logistical advantages to a waterborne nuclear plant, besides mobility. Theoretically at least, there are few siting concerns and a very low environmental impact. Also, building the plant at a shipyard is expected to bring efficiencies and cost savings, and once in operation, seawater can conveniently be used for cooling. But at the same time, floating nuclear power has its drawbacks. Access to personnel and equipment is a challenge. And while nuclear is a low-carbon energy source, the possibility of radioactive material leaking into the sea presents health and environmental risks. 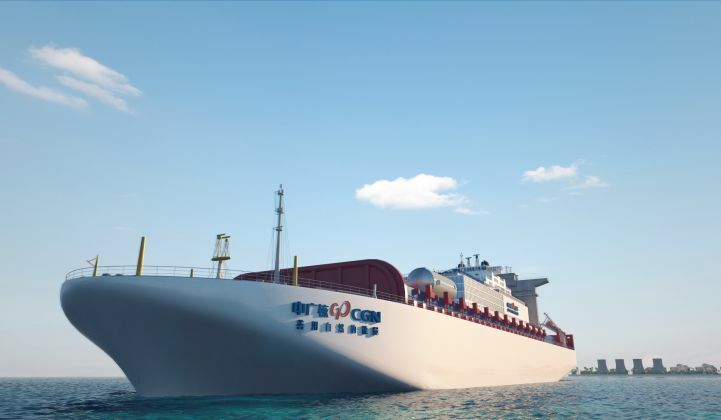 China’s ACPR50S won’t be the world’s first floating nuclear power plant. The Russian company Baltiysky Zavod has already started construction on the Akademik Lomonosov, a barge equipped with two 35-megawatt reactors similar to those used in submarines. The project is scheduled to be delivered to the Russian nuclear power plant operator Rosenergoatom in September, and could start operating in the Chukotka region as early as 2017. 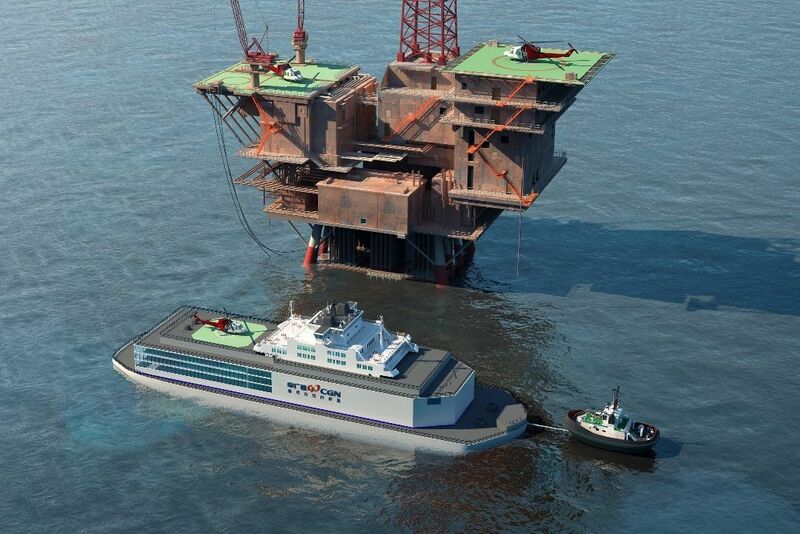 Meanwhile, construction on the world’s largest floating solar project is getting underway. In Japan, Kyocera Corp. and Century Tokyo Leasing Corp. and have started building a 13.7-megawatt floating solar plant on the Yamakura Dam reservoir near Tokyo. The plant is scheduled for launch in March 2018. The Yamakura Dam project has grown in scale since it was first announced in 2014. The array will generate an estimated 16,170 megawatt-hours of electricity per year (up from the initial estimate of 15,635 megawatt-hours), which is enough to power nearly 5,000 typical households. In 2015, the Kyocera TCL Solar joint venture launched three floating solar projects sized 1.7 megawatts, 1.2 megawatts and 2.3 megawatts, respectively. 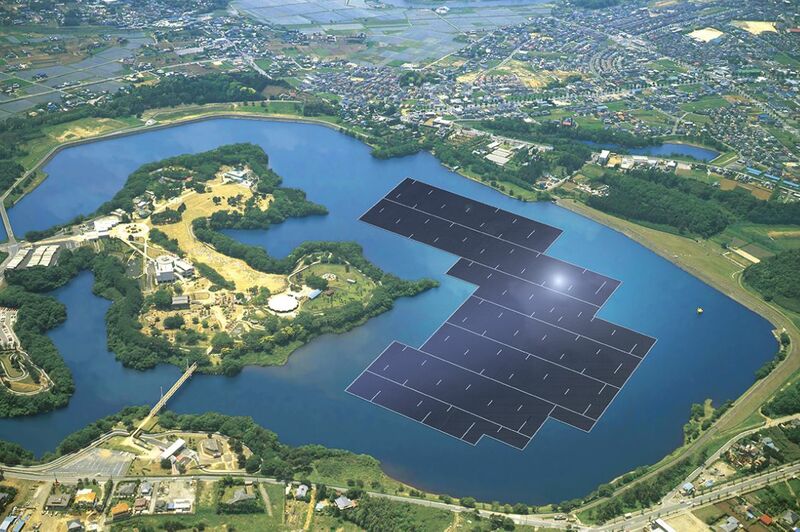 Japan is an ideal location for floating solar because space is limited and there are numerous inland waterways used for agricultural and flood-control purposes. Floating solar is also a growing trend in the U.S. Last March, Sonoma Clean Power signed a contract to build a 12.5-megawatt "floatovoltaic" project -- the largest floating solar project in the U.S. and the second-largest in the world after the Yamakura Dam array. Wind projects are now floating, too. Following successful testing of a 2-megawatt floating turbine developed by WindFloat, a consortium of companies announced plans this month to deploy a 25-megawatt offshore wind project by 2018. The new wind park, located roughly 12 miles off the Portuguese coast at Viana do Castelo, is being developed by Principle Power Inc., EDP Renewables, Mitsubishi Corporation (through its subsidiary Diamond Generating Europe), and the Chinese Chiyoda Corporation (through its subsidiary Chiyoda Generating Europe). 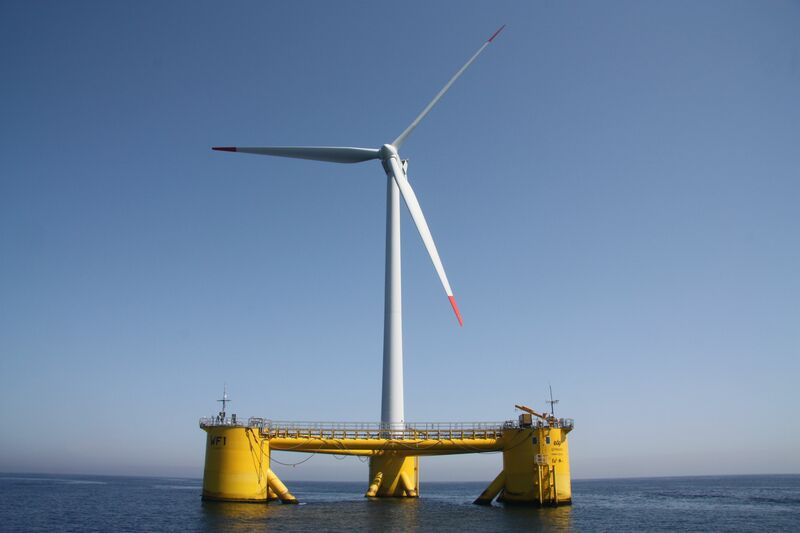 The chief benefit of a floating wind farm is that it can be set up farther away from shore, where the water is too deep for bottom-mounted systems. This reduces the likelihood of interference with shipping routes and fishing, as well as addressing concerns over visual pollution. Wind is also stronger and more consistent over the open ocean. The Norwegian energy giant Statoil started testing the first-ever floating wind project in 2009, and since then has reportedly reduced costs by 60 percent. Last November, the company announced it will build a five-turbine, 30-megawatt floating wind farm off the shore of Scotland by late 2017, which will become the first commercial-scale project of its kind. Not to be left out, there’s also floating equipment for oil and gas production: floating production, storage and offloading (FPSO) vessels. Depleted onshore oil and gas reserves are pushing companies to explore for energy resources at sea. High upfront costs are likely to temper the adoption of FPSOs, but at the same time, there are high costs and technical risks associated with fixed platforms, which could ultimately drive up demand for floating systems. In 2012, the FPSO market was valued at $12.6 billion. According to a new report by Transparency Market Research, the FPSO market is expected to grow by just over 17 percent between 2013 to 2019, when the market will reach $38.7 billion. Exxon Mobil Corp., Statoil, DNV GL and others are exploring ways to use floating wind to power oil and gas production, similar to how China plans to support oil and gas operations with an aquatic nuclear power plant. A technical analysis on the potential for waterborne wind to serve the oil and gas industry is scheduled for release in the first quarter of 2016.